Well Week 2 of the National Football League season is over and our picks for the week weren’t great. Dan the Man was the only one to end the week over .500 at 9-7 and he’s 18-14 on the season. Schaumburg Stu was 7-9 in Week 2 and is 16-16 so far this season. Mr. Fantasy and I where a horrible 6-10 for Week 2 and are 2 games under .500 at 15-17 through two weeks. Luckily it’s earlier in the season and there’s time to make up some ground. At the end of the show on Sunday’s, this football season I have Mr. Fantasy pick which players will be the highest scorer at their positions. He didn’t get any picks right last week; so let’s see how his picks for Week 2 went. At quarterback Mr. Fantasy choose Peyton Manning of the Denver Broncos for the second week in a row. Manning ended up as the 4th highest scoring quarterback as Chicago Bears quarterback Jay Cutler was the top scorer. Mr. Fantasy went with a Chicago Bears player at running; he choose Matt Forte Week 2’s highest scoring running back was Giovani Bernard of the Cincinnati Bengals. Forte finished the week in 35th for running backs. Mr. Fantasy had Cincinnati Bengals wide receiver A.J. Green as his pick, but the highest scoring wide receiver was the Green Bay Packers Jordy Nelson. Green got injured during Cincinnati’s game and didn’t score in Week 2. Mr. Fantasy’s tight end pick for Week 2 was Antonio Gates of the San Diego Chargers. Sure enough with 7 catches for 96 yards and 3 touchdowns Gates was the highest scoring tight end for Week 2. At kicker Mr. Fantasy went with Cairo Santos of the Kansas City Chiefs. Dan Bailey of the Dallas Cowboys was the highest scoring kicker in Week 2. In Week 2 Santos finished 20th among kickers. Mr. Fantasy’s sleeper of the week was Minnesota Vikings running back Matt Asiata. Asiata had 13 rushing attempts for 36 yards and caught 5 passes for 48 yards and a touchdown and he was worth 21.40 points. Two divisions were clinched last night in major league baseball. The Washington Nationals won the National League for the second time in three years and for the first time since 1997 the Baltimore Orioles won the American League East. There where a lot of people picking the Nationals to win their division this season including myself and Schaumburg Stu. The Orioles on the other hand have to be considered a bit of a surprise division winner. The Nationals have 2 number 1 overall picks on their roster in Steven Strasburg and Bryce Harper and at the trading deadline added Asdrubal Cabrera to solidify the 2nd base position. The Orioles on the other hand lost All-Stars; catcher Matt Wieters and 3rd baseman Manny Machado for the season with injuries and then slugger Chris Davis was suspended 25 games for failing a drug test. So how did the Orioles win the division? Well it starts with the best free agent signing on the off-season Nelson Cruz. Cruz has provided the power that Davis didn’t this season with 39 home runs and 103 RBI’s while hitting .264 so far this season. Adam Jones is hitting .286 with 25 home runs and 87 RBI’s. While Chris Tillman appears to be the ace of the Orioles pitching staff leading them in ERA at 3.29 and in strikeouts with 139. Wei-Yin Chen is leading the Orioles staff in wins with 16. Bud Norris has 13 wins and Tillman has added 12 wins. After an early season injury to Tommy hunter Zach Britton stepped in and picked up 35 saves in 39 attempts. Andrew Miller was added to the bullpen at the trading deadline and the left-handed specialist posted a 1.04 ERA in 19 games. Darren O’Day was 5-1 with 23 holds and an ERA of 1.53 as Baltimore’s main set up guy. For the Orioles to have playoff success the pitching staff will have to continue throwing the way they have this season. While it looks like Tillman, Chen and Norris will be the top three starting pitchers in the playoffs if the Orioles decide to use a 4th starter they’ll have to pick between Ubaldo Jiménez, Miguel González or Kevin Gausman for that spot. For the Nationals it looks more and more like Denard Span will be the key to Washington’s post season success. Span is hitting . 299 and has 31 stolen bases in the lead off spot. Anthony Rendon bounced between 2nd and 3rd base this season, but has hit .285 with 20 home runs and 80 R.B.I.s. Adam LaRoche is leading the Nationals in home runs right now with 24, but Ian Desmond is just 1 home run behind at 23 and Desmond also leads the Nationals in RBI’s with 88. If Ryan Zimmerman can get healthy he’ll add one more bat to the Nationals line up either playing everyday or coming off the bench in the post season. Tanner Roark leads the Nationals pitching staff with 14 wins while Strasburg and Jordan Zimmerman have 12 wins apiece. Zimmerman leads the staff in ERA. at 2,83 and Strasburg has the most strikeouts on the staff with 230. Doug Fister and Gio Gonzalez round out the Nationals starting five and you have to wonder which one would head to the bullpen for the playoffs. Drew Storen has stepped into the closer role as Rafael Soriano has struggled down the stretch. getting Soriano right may be another key to playoff success for Washington. Was it just an odd fact that these two teams who aren’t located that far apart clinched their divisions on the same night. Let’s see who’s next to wrap up one of baseballs playoff spots. Are you surprised that Tiger Woods missed the cut yesterday at the PGA Championship? I think I was more surprised that he decided to play than I am that he missed the cut. It was the last tournament of the season for Woods and I wonder if that played into his decision to go out and try to play. Woods played in just seven PGA tournaments this season and won’t qualify for the Fed Ex Cup playoffs that start in two weeks. There was some talk of Woods playing in the Ryder Cup, but you’d have to think that right now it’s better for him to rest and try to recover. I just kind of have a feeling that we’re not going to see Woods in a tournament for a while. Rory McIlroy is leading the PGA Championship at -9 and has a one shot lead over Jason Day and Jim Furyk. Ryan Palmer, Rickie Fowler and Mikko Ilonen are just two shots back at -7 under. Phil Mickelson is tied for 7th place going into Saturday’s round and is three shots behind McIlroy at -6 under par. McIlroy has been the hottest player on the tour lately and will see if he can add a second major win in a row during these next two rounds. Kevin Durant left Team USA this week citing mental and physical exhaustion. Durant likely would have split his time between the two positions, starting at small forward. Now Team USA’s best options there are first-timers Gordon Hayward, Chandler Parsons and Kyle Korver, none of whom have made NBA All-Star teams. Anthony Davis, a 21-year-old, is the only All-Star frontcourt player left for Team USA, unless Love decides to play now that his trade to the Cleveland Cavaliers is agreed upon. I have to wonder if the Paul George’s injury had anything to do with Durant’s decision. Durant plays a lot of basketball and you can’t blame him for wanting some time off. His team; the Oklahoma City Thunder goes to the NBA playoffs every season and that adds games to his year as well as these tryouts and basketball camps. You can see where it could get mentally and physically draining on a player. Sacramento Kings forward Rudy Gay has been added to Team USA’s roster to replace Durant. The NFL pre-season got up and running last night. I know there’s been a Hall of Fame game then the San Francisco 49ers and the Baltimore Ravens played Thursday night. Friday had more of a full slate of games. Just some quick take a ways from last nights action. The Chicago Bears defeated the Philadelphia Eagles 34-28, but Bears tight end Martellus Bennett did not participate do to his suspension. Blake Bortles was solid in his preseason debut Friday night, throwing for 117 yards and leading a second-half drive for a field goal in a 16-10 victory over the Tampa Bay Buccaneers. Bortles went 7 for 11 for 117 yards in the game. Matt Cassel outplayed rookie Teddy Bridgewater in the Minnesota Vikings’ opener a 10-6 win over the Oakland Raiders. Cassel went 5-6 for 62 yards while Bridgewater was 6-13 for 49 yards. Derek Carr went 10-16 for 74 yards on the Raiders side, but did throw and interception. Carolina Panthers Pro Bowl quarterback Cam Newton did not play in Friday night’s preseason-opening 20-18 victory over the Buffalo Bills. This is not a setback for Newton, who underwent surgery in March to tighten tendons in his left ankle, as much as it is precautionary. In St. Louis Michael Sam got an extended look at defensive end in the St. Louis Rams’ pre-season opener in a 26-24 loss to the New Orleans Saints. Just a quick little NFL pre-season wrap up from last night. Did you have the Baltimore Orioles leading the American League East by 5 games at this point in the season? Well that’s right where the Orioles are. A 5 game lead over the New York Yankees. I guess you could see the Orioles in 1st place being led by first base man Chris Davis; no. Davis has had some injuries this season and is having a down year coming off of 2013. Davis does have 20 home runs and has driven in 55, but he’s hitting .198 for the season. Then you’re thinking catcher Matt Wieters is having a break out season; no. Wieters is on the disabled list having playing in just 26 games for Baltimore this season. So how have the Orioles gotten themselves into 1st place. Adam Jones and Nick Markakis lead the offense as full-time players and a great free agent signing of Nelson Cruz have helped. Makakis is hitting .287 with 10 home runs and 39 RBI’s and has been a great defender in right field. Jones is hitting .284 with 22 home runs and 70 RBI’s while being a top defensive center fielder as well. Cruz is supplying the big power numbers for Baltimore this season with 29 home runs and 77 RBI’s. Shortstop J.J. Hardy;s power numbers have been down, but he’s gotten his average up to .281 and leads the team in doubles with 25. Wei-Yin Chen is leading the pitching staff in wins with 12, but Bud Norris and Chris Tillman have 9 wins apiece. After Tommy Hunter’s injury Zach Britton has stepped in and locked down the closer role. Darren O’Day has been a top set up guy with 18 holds and the Orioles went out and added left-handed pitcher Andrew Miller at the trading deadline. Will see if the Orioles can hold off the Yankees and the Toronto Blue Jays down the stretch in the A.L. East. Wooooooowww. Whether you love it or hate, It’s here The one game wild card to advance to the division series. Being that I pegged the Rangers to win the World Series. Third times a charm. 40 years with no World Series Trophy. I really thought this would be the year even with the slump at the end of the season but the A’s really surprised me as I’m sure every one who loves baseball. Sweeping the Rangers to knock them out of first place in the west. The Rangers held that spot for 176 days straight. Even though I was rooting for Wash to do it, I still like the one game playoff. It definitely adds an element of surprise and makes the last couple weeks more exciting. Of course I can’t say the same for the teams that were knocked out. Under previous rules the Rangers and Braves would own the wild card spot but it didn’t work out that way. The Orioles played a better game as did the Cardinals. Now I can say I was really surprised that the O’s knocked the Rangers out but that’s how it is. How cool would it have been for the Braves to make it to the World Series in Chipper Jones’ last season. I would have loved to have seen that but sadly last year Bobby Cox announced his retirement and this Chipper his and oddly the Cardinals knocked them out two years in a row. Down in the STL it seems to have been a pretty smooth transition year without LaRussa and Pujols but well see tonight when they host the Giants. Now the incident that caused the Braves fans to toss garbage onto the field after the in my opinion the wrong call was made on the infield fly rule. The announcers were really upset and “this is uncalled for …blah blah blah” It may have been Big Jack didn’t really care for it. But I say let them throw garbage on the field. I’m assuming those tickets were Atleast $75 or more and they paid to see their team win not lose and they were frustrated by how the Braves were playing and when it comes down to it in the 8th every single play & call counts. Do I blame them losing the game on the ump, Chipper caused an error went 1-5 and the opportunity came up for the Braves in the 8th & 9th innings. They didn’t score the points they needed to win. With out this bad call they might have scored one point in the eighth but you never know with momentum they could have taken that game and be hosting the Giants tonight. But they’re not. Just like the infamous Bartman incident in Chicago which caused the Cubs to be knocked out of the playoffs. Everyone remembers that but forgets that the very next play would have ended the game but the ball went under Alex Gonzalezs legs at shortstop and that was it. MLB may take a look at this rule in the offseason or not. I have no idea who to pick for the World Series. I don’t think I’ve ever picked a winner and the possibilities. We can witness another Bay Area World Series. The Beltway series at the Big Show for the first time. The Centrals Cardinals Reds and Tigers can’t be counted out. Lets not forget about the Yankees Jeter A-Rod, Granderson, Cano. But its been the year if the pitcher and after Sabathia & Hughes can the Yankees hold on after they pitch. The possibilities…..I’d like to see the Nats make it but I’m very partial to the Giants. I grew up a fan of Ricky Henderson, loved watching the A’s but it would be cool to see the O’s. I’d love to see the Tigers win it all just to throw it in White Sox fans faces. Sorry guys. Nobody roots for the Yankees but they have a great team. And since the Reds and Cards are in the Cubs division I can’t really get behind them. I’ll throw these two teams out there Nationals vs Tigers. Well see next week. 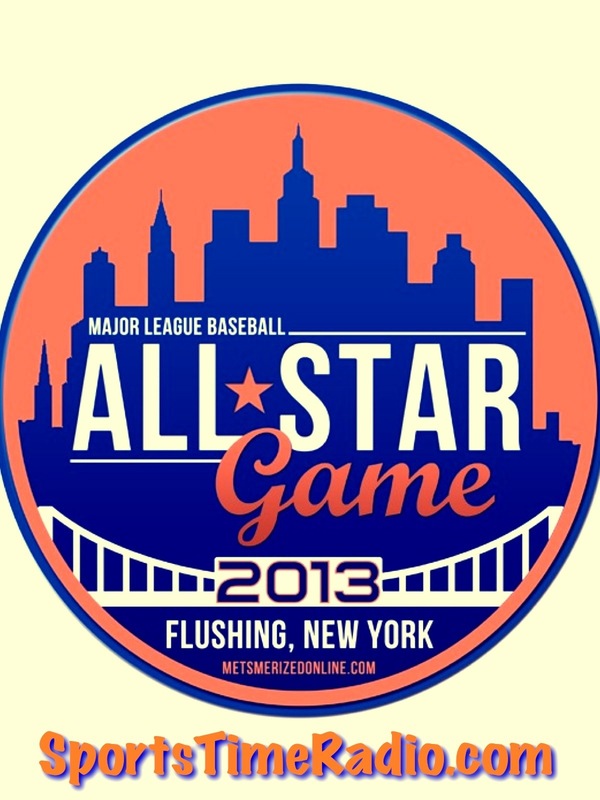 Friday, October 5 2012, sparks the new playoff system that the MLB has put forth for us all to enjoy. It’s exciting its made this last couple of weeks very interesting. There were more teams in the mix this year and it gave a shot to two more teams that would have just been watching the playoffs from home like the rest of us. I have no problem with this 1 game Wild Card. It really makes these four teams the Wild Card. However listening to some people on Chicago’s local ESPN radio, you would think that this 1 game was going to confuse every and anybody. They act like its such a foreign idea that isn’t going to work. “It’s like the game 7, but its only one game.” Well DUH!!!! I mean it doesn’t take a genius to be a talk show host on radio and definetly doesn’t take a genius to figure out how this 1 game wild card is going to win. Let me break it down in case you were listening to these guys and were a little confused because of them. Each league has 2 Wild Card teams, that’s 4 teams. The Braves will face the Cardinals in a 1 game play-off for the right to face the Washington Nationals in the Division Series that will be the best out of 5. The Rangers and the Orioles will meet for the right to face the Yankees. The new rule besides this 1 game playoff is that the wild card team will face the team in their respective leagues that has the best win loss record. In the past, in the division series two teams from the same division wouldn’t play each other in the division series. For example, under last years rules, the four AL teams Yanks, A’s, Tigers and Rangers all have playoff spots but since the A’s and Rangers are in the same division they wouldn’t play each other unless they both advanced to the Championship Series.